This 6-episode Series follows a pharmacy resident and preceptor during a clinical rotation at a hospital. Each video episode is 5-8 minutes in length and builds upon the next. During the Series you will view interactions between the resident, preceptor, residency director, and health-care team as they progress through the clinical rotation. 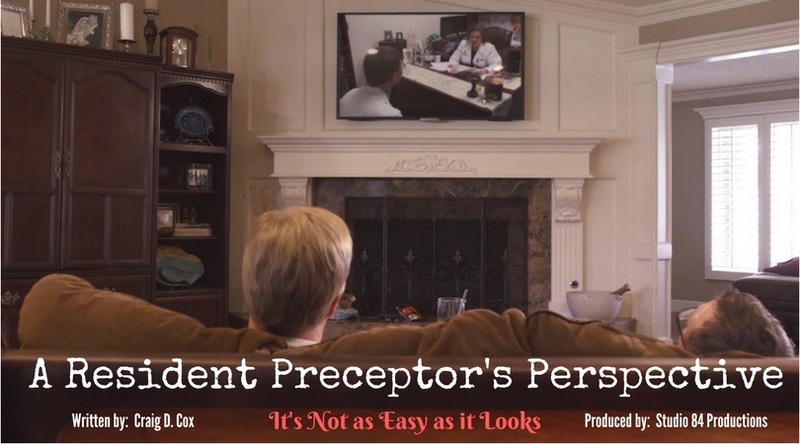 At moments throughout each episode, two preceptor experts provide humorous interactions and share insight on how they would deal with each learning situation. The experts will discuss principles focused on residency accreditation standards, the four major preceptor roles (direct instruction, modeling, coaching, and facilitation), and the concept of continuous residency program improvement. 1. Describe the importance of reviewing resident and preceptor expectations during a rotation orientation. 2. Identify learning experiences where the roles of direct instruction and modeling would prove most effective. 3. Identify learning experiences where the roles of coaching and facilitation would prove most effective. 4. Discuss the importance of feedback and how utilization of performance metrics from both current and prior rotations can be used to enhance a resident’s learning experience. Resume a Course: To resume a course, login to your account at the top right side of the page. Next, go to "Pending Programs/CE" in the top gray toolbar. Select the "Distance" tab and then select "A Preceptor Mini-Series 3: A Resident Preceptor's Experience: It's Not as Easy as it Looks". Course Requirements: This online course is available for 1.5 hours of Continuing Education credit. In order to receive credit, all individuals must watch all (6) individual video episodes and complete the short assessment following each episode. After all videos have been viewed and assessments complete, a final course evaluation will be made available. Following completion of the course evaluation, continuing education credit will be granted. List as many residency preceptor qualifications (per accreditation guidelines) that you can remember. Describe a situation you have faced as a residency preceptor similar to the last-minute request portrayed in this scenario. How did you handle? What would you have done differently? If you haven't experienced this, what would be an appropriate approach to deal with such a situation? List one thing you learned during the program that you intend on incorporating into your rotation experiences with residents? Residency preceptors must have training and expertise in the area of practice in which the supervise residents. It is important to know what the accreditation standards say, but even more important to follow them. Identify the qualifications of a residency preceptor as defined by the accreditation guidelines. Discuss alternative approaches to address unforeseen, last minute changes to a residency rotation. What were some things the resident preceptor did well during the orientation? What were some areas the resident preceptor could improve on for future orientations? List one thing you learned during the program that you intend on incorporating into your rotation experiences. Ask your residents what they want to get out of the rotation and then tailor the experience to meet their needs. No resident and no rotation is ever the same. Be flexible in your rotation planning to address the differences of learners. Describe the importance of reviewing resident and preceptor expectations during the rotation orientation. Episode 3: "Direct Instruction and Modeling"
Provide an example of a situation when you have utilized the role of “direct instruction” with your resident. What did you find the most challenging with this role? Provide an example of a situation when you have utilized the role of “modeling” with your resident. What did you find the most challenging with this role? 1. Direct instruction is one of the fundamental preceptor roles. It involves asking the resident to research a topic and report back to the preceptor. Lecturing to residents should be minimized. 2. Modeling is another key preceptor role. It involves the resident observing the preceptor thinking out loud as they complete a task. Define the preceptor roles of direct instruction and modeling. Identify the learning situations where the roles of direct instruction and modeling are most appropriate. Episode 4: "Coaching and Facilitating"
Provide an example of a situation when you have utilized the role of “coaching” with your resident. What did you find the most challenging with this role? Provide an example of a situation when you have utilized the role of “facilitation” with your resident. What did you find the most challenging with this role? 1. Coaching is a key preceptor role. It involves the preceptor observing a resident perform a task while providing feedback throughout the process. 2. Facilitating is the final preceptor role. This role asks the resident to complete activities independently and then debrief with the preceptor to discuss the experience. Define the preceptor roles of coaching and facilitation. Identify the learning situations where the roles of coaching and facilitation are appropriate. Do you routinely provide feedback to your residents? What did this preceptor do well in providing feedback to her resident? What could she have done better? Provide an example of a situation where you provided both quality “written” and “verbal” feedback to a resident. Describe the impact this had on their future performance. 1. It is critical to require the resident to complete a self-assessment of their performance. It is equally important for the preceptor to take time to review and discuss it with them. 2. Both verbal AND written feedback should be provided to the resident throughout a rotation. Feedback should be specific and address quality not just quantity of activities. Design an appropriate feedback session based upon individual resident characteristics. Demonstrate understanding of the importance of providing BOTH verbal and written feedback to a resident during a rotation experience. 1. Provide an example of a rotation where utilizing information from a resident’s past rotations had a positive impact on their current experience. 2. Do you spend time “reflecting” at the conclusion of each rotation? If so, do you find this helpful and why? If not, what is the biggest barrier preventing you from doing this? 3. List one thing you learned during the program that you intend on incorporating into your rotation experiences with residents? 1. Preceptors should consider resident’s prior experiences when designing a rotation. Resident performance should not only be measured on an individual rotation but longitudinally throughout the year. 2. Preceptors must take time to reflect. Take time to think about each experience and what went well and can be improved for next time. Just like their residents, preceptors should never stop learning. Discuss the importance of utilizing performance metrics/feedback from prior rotations to enhance the resident’s experience for future rotations. Describe how the process of reflection can be used to assure the concept of continuous residency program improvement is successfully achieved. This is the final evaluation for Mini-Series 3: Residency Preceptor's Experience. Once you have successfully completed this evaluation you will receive 1.5 hours of continuing education credit that will be automatically sent to your CPE Monitor Account.